Datel, the UK-based manufacturer of low-cost, high-capacity storage units for gaming consoles, is suing Microsoft, accusing the company of antitrust violation. Back in October, Microsoft revealed that the fall Xbox Live Update locked out what Xbox's Major Nelson referred to as unauthorized Memory Units. Which largely referred to those memory units produced by Datel. Hence the British company has taken Microsoft to court over the matter, employing the hilariously-named law firm of Howard, Rice, Nemerovski, Canady, Falk, & Rabkin to file a lawsuit against Microsoft. Datel is accusing Microsoft of violating antitrust laws by ensuring that 360 gamers are only allowed to buy Microsoft-made accessories. "Microsoft has taken steps to render inoperable the competing Datel memory card for no visible purpose other than to have that market entirely to themselves," said Howard Rice Director Marty Glick in a statement. "They accomplished their recent update by making a system change that will not recognize or allow operation of a memory card with greater capacity than their own. 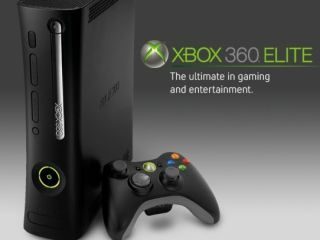 We believe that with the power Microsoft enjoys in the market for Xbox accessories this conduct is unlawful."